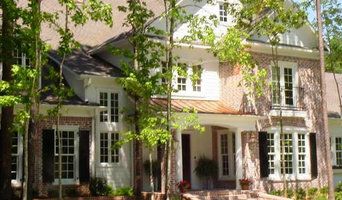 Bob has been designing and constructing beautiful homes for more than 20 years. Since its inception, strict standards of craftsmanship, performance and attention to detail have been its hallmarks. We create custom floor plans, design remodeling projects, and 3D Walkthroughs so that you can see the finished product before construction begins. We are a Design + Build company specializing in the custom design and construction of new homes and commercial properties. At Precision Drafting & Design my goal is to transform your vision into a timeless design and create a comprehensive set of architectural plans that become detailed construction documents which will protect your investment. The design and building process, whether for your home or business, will likely be one of the largest financial investments you will make and a complete set of accurate, professionally drawn plans is the first step to making the building process run as smoothly as possible. 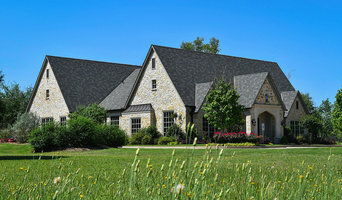 My extensive hands on building and design background which includes a working knowledge of key building trades along with my attention to detail and passion for building design sets Precision Drafting & Design apart from other drafting & design services in East Texas and will add unmatched value to the planning and design of your next project. I offer a full range of architectural design and drafting services from conceptual drawings to help jump start your project all the way through to complete construction plan sets that will set your project in motion. Although Precision Drafting & Design is not a registered architect or engineer, I have working relationships with an architect and various engineering firms and can provide stamped and sealed drawings when required. Don’t make the mistake of trusting the most important component of your project to someone that doesn’t have the highly experienced qualifications I offer! Contact me today to schedule an appointment to begin the exciting process of designing your future home or business! Located in Athens,Texas.Twenty Two years experience Hardscapes Design and Supply. Pavers,Natural Stone, Outdoor Living, Retaining Wall Design, Slope Erosion Control, Helping Client with right materials,design and contractor in East Texas and North Texas. JML Architects is a boutique architectural firm specializing in the design of custom, single-family homes. We are adept at the creation of functional residential designs within the style most suited to our clients' tastes and lifestyle. An honed sensitivity to specific site and climatic conditions as related to each project, allows JML Architects to develop designs that respond effectively to today's energy and sustainability issues. We feel it essential to assist our clients in developing an initial architectural program which outlines the goals, as well as constraints, of the project. This step focuses the entire design effort toward achieving the clients' overall mission of constructing a functional, comfortable, and cost-effective home fitted with the amenities that are most important to them. Our use of highly-effective digital tools such as Building Information Modeling (BIM) allows us to fully explore various design options in a timely and cost-effective manner. These tools also allow us to communicate clearly and concisely with our clients through 3-dimensional imaging as well as walk-throughs and fly-bys. How do I find the best Lindale architect for my home design project? It is best to hire a home architect who will be involved in all phases of the design process, from the initial concept to the completed construction. The architect is often the first person you will hire for your project. If necessary, they might also help you select and hire Texas subcontractors, which can include the builders, engineers and landscaper. Interior architects are also involved in negotiating contracts for all involved participants. It is for these reasons that it is extremely important for you to have a good relationship with the Lindale residential architect you hire. He or she can be the tie-breaking vote between you and the general contractor and can be your biggest advocate during the construction process. Different architecture firms in Lindale, TX provide different services, so the scope of the work can span from pre-design environmental impact studies to selecting furniture and finishes, depending on what your specific needs are. It is very important to hire the right professional for the job. Remember that the most well-known or established designer might not provide the best architectural services for your needs. It all comes down to the individual project. Research and ask people whose work you like for recommendations. It's important to have somewhat of an idea of the style of house architecture that you prefer, as well as the amount you would like to spend. 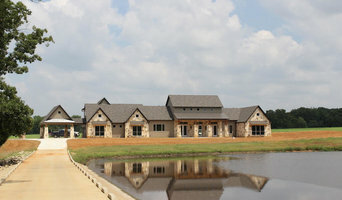 Residential architects in Lindale, TX are natural problem solvers. They will assess the entire situation and help you to solve your problems too. Don't settle for a single company too early. Call and interview a few. Make sure that you feel like your personalities will mesh well and that you like their professional perspective. 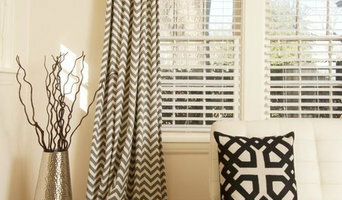 Find a home architect in Lindale, TX on Houzz. Narrow your search in the Professionals section of the website to Lindale architects. You may also look through photos of Texas projects to find interior architects and building designers who have worked on a project similar to yours.